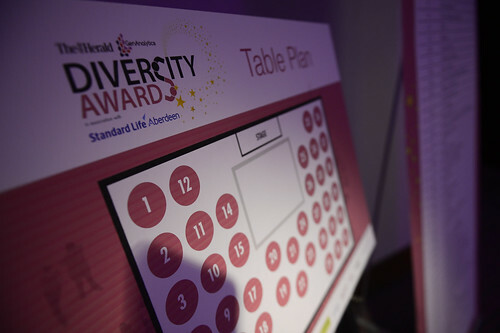 The Herald and GenAnalytics national Diversity Awards in association with Standard Life Aberdeen recognise the outstanding success of companies and organisations, individuals, third sector organisations and community groups who are demonstrating a strong commitment and track record of achievement in ensuring that everyone in our society has the opportunity to fulfil their ambitions, aspirations and potential. 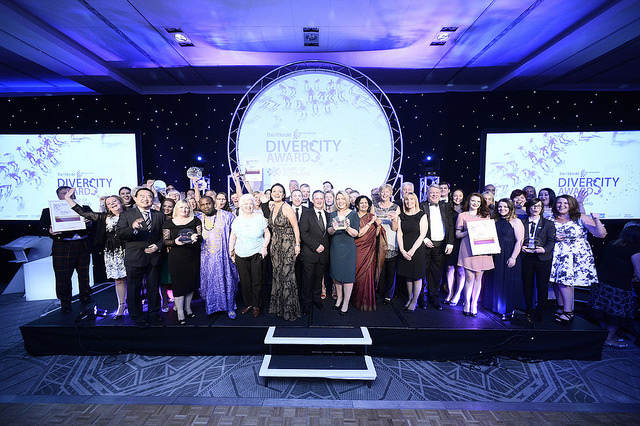 In Scotland, with a base of over 300,000 businesses and third sector organisations, 32 local authorities, over 100 public bodies and a population of five million citizens, we are well placed to demonstrate and share our existing commitment to diversity and equality in the workplace, in our communities and our society. 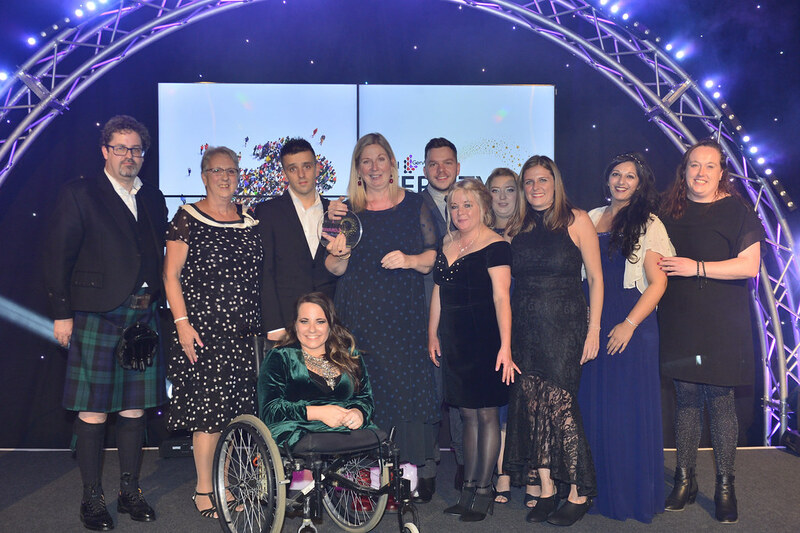 Over the last three years these awards have showcased and recognised best practice from those organisations and individuals who are working to address these challenges and who are developing and delivering programmes and initiatives with demonstrable success. Diversity has never been more important to our businesses, our economy and our society. For Scotland to realise its potential we need to ensure companies and organisations involve the abilities of all the talents. 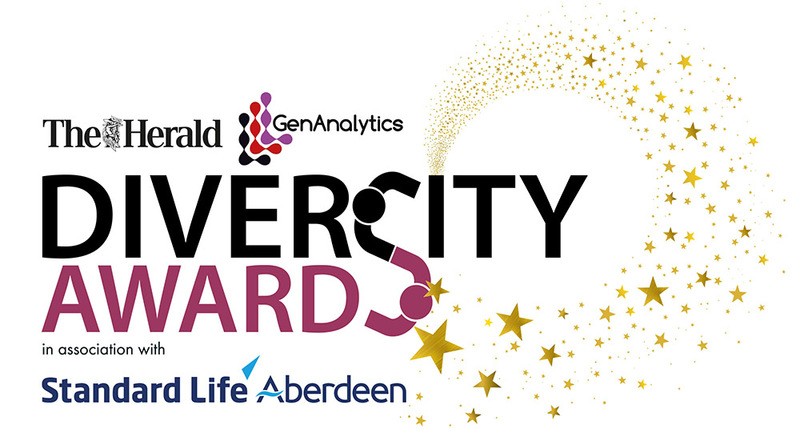 The Herald and GenAnalytics Diversity Awards working with its partners will look to recognise and share that success for years to come. To register interest in the event, please click here. ENTRIES ARE NOW CLOSED FOR 2018. This year’s awards took place on Thursday, October 11, 2018 at the Radisson Blu Hotel, Glasgow. Standard Life Aberdeen plc is a leading global investment company. We have operations in 50 locations worldwide and employ around 9,000 people. We are dedicated to helping our clients and customers invest for their future; and our expertise and resource enables us to offer a wide range of investment solutions and services designed to meet their needs. We manage, administer and advise on £646 billion* of assets worldwide. Standard Life Aberdeen plc is headquartered in Scotland. The Standard Life Aberdeen group was formed by the merger of Standard Life plc and Aberdeen Asset Management PLC on 14 August 2017. We provide some of the world’s most advanced, technology-led defence, aerospace and security solutions and employ a skilled workforce of some 83,100 people in over 40 countries. Working with customers and local partners, we develop, engineer, manufacture and support products and systems to deliver military capability, protect national security and people and keep critical information and infrastructure secure. The Group brings together six social landlords, two care providers, two commercial subsidiaries and a charitable foundation. All parts of the Group are rooted in their local communities but are united in their ambition to ‘Make Homes and Lives Better’. That includes working together to improve the life opportunities of people in its communities who face disadvantage or barriers. Wheatley is committed to equality and diversity in everything it does and is an equal opportunities employer. City Building is one of Scotland’s largest construction businesses employing over 2,200 individuals delivering a wide range of construction, maintenance and manufacturing products and services across Glasgow and beyond. 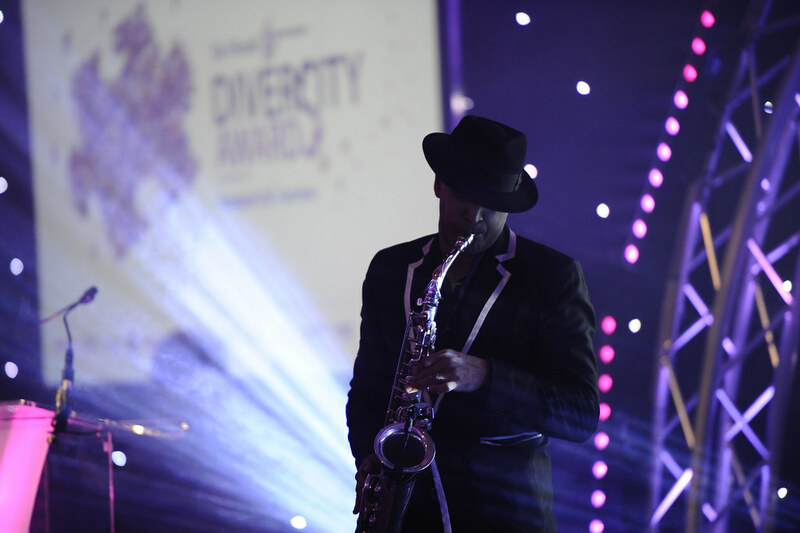 Central to their success is its strong diversity policy with the workforce drawn from a wide range of backgrounds and cultures, including minority ethnic and other under-represented groups. A fifth of all Scotland’s female craft apprentices are employed at City Building. 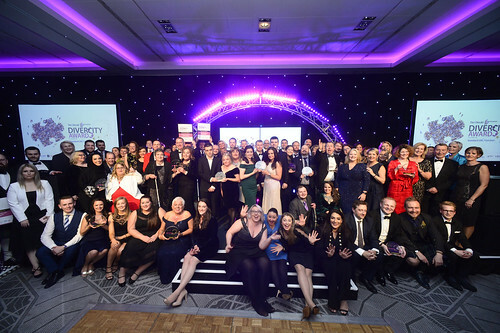 The business also operates Europe’s largest supported business Royal Strathclyde Blindcraft Industries (RSBi) where more than 50% of employees have a disability or are disadvantaged. The City of Glasgow College is Scotland’s largest and most diverse college. Situated in the heart of Glasgow, the college has around 2,500 courses and almost 30 departments based within 6 Faculties. Employing 1200 staff we live by our purpose to ‘Let Learning Flourish’ through Inspiration, Excellence & Innovation, as we aim to give individuals the best possible chance of forging a successful future. Our specialist curriculum is continually updated to meet the needs and demands of employers and partner universities, ensuring that our students reach their full potential while studying with us. Every year, we welcome up to 30,000 students from almost 130 different countries to study a wide range of programmes, from access level through to Masters. The college is on a very exciting journey as we recently opened our Riverside Campus in August 2015 and our brand new City Centre Campus in August 2016. These pioneering buildings will welcome up to 40,000 students each year and house industry standard, stimulating & creative learning environments for the students of Glasgow, Scotland and beyond and represents a £228 million of investment in further & higher education in the City. Diageo is a global leader in beverage alcohol with an outstanding collection of brands across spirits and beer. These brands include Johnnie Walker, Crown Royal, JεB, Buchanan’s, and Windsor whiskies, Smirnoff, Cîroc and Ketel One vodkas, Captain Morgan, Baileys, Don Julio, Tanqueray and Guinness. 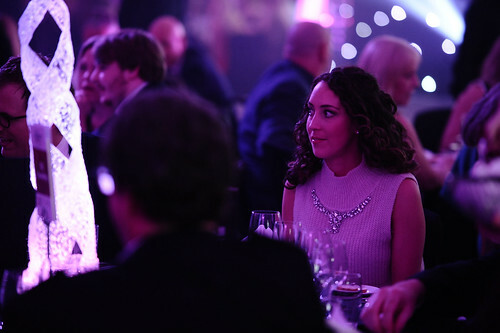 Diageo is a company with a rich Scottish heritage – our roots can be traced back to 1627 and the Haig family. Since then, Scotland has played an important role in shaping Diageo and we now export our premium brands to 180 markets around the world. Scotland is one of Diageo’s largest spirit supply centres responsible for producing around 50 million cases of leading brands of Scotch whisky and white spirits annually. Around 85% of Diageo’s production in Scotland is sold overseas. We employ around 4,000 people in Scotland, working in over 50 communities across the country. Diageo Learning for Life, Scotland launched in early 2014 and is part of the company’s worldwide Learning for Life initiative which helps to provide young, unemployed people with the skills to succeed in some of Scotland’s most vibrant sectors. Its programmes provide technical training, life skills and work based experiences in bartending, hospitality, retail, manufacturing and entrepreneurship – helping to boost participants’ confidence and opening up doors to a wide range of exciting careers. To date over 850 students have graduated through our programmes in Scotland. MacRoberts LLP is one of Scotland’s leading independent commercial law firms, with 42 Partners and over 200 people employed in offices in Glasgow, Edinburgh and Dundee. The firm is fully committed to the promotion of diversity and inclusion within the workplace and in the community. This commitment is reflected in their recruitment procedures and their close work with local communities. They are proud to have made the Scottish Business Pledge in 2015 and were recently awarded Living Wage accreditation. As a firm MacRoberts has vast experience and an impressive track record in all aspects of corporate law, taxation, pensions and share schemes, employment law, construction, transport and major infrastructure projects, real estate and energy. MacRoberts works with clients in all key sectors within the Scottish economy, from traditional sectors of banking, construction and local and national government, through to growth industries such as renewable energy, food and drink, IP and technology. At Royal Mail we connect companies, customers and communities across the country, delivering a ‘one-price-goes-anywhere’, universal postal service to more than 29 million addresses. Our most visible roles might be our postwomen and men, but Royal Mail offers many exciting job opportunities across a range of different functions. Every one of our employees has a valuable role to play in maintaining our position as a commercial and technologically advanced industry leader. We are an inclusive employer with equality, diversity and fairness at the heart of our values. Below are just a few of the initiatives we have set up to ensure that we are attracting and retaining a diverse workforce that reflects the communities that we serve. In 2010 we set up a gender steering group which is sponsored by our COO. We provide personal development programmes for female non-managers and female junior managers. In 2014 we set up an LGBT & friends steering group and in 2016 we participated in London Pride. We have joined BITC BAME mentoring circles. We are founding members of the EHRC Working Forward initiative aimed at supporting women on maternity and returners. ScottishPower is part of the Iberdrola Group, a global energy company and world leader in wind energy. We are committed to leading the development of clean and competitive electricity, modernising electricity networks to improve quality of service and increase customer choice through digital enhancements. We strongly believe that raising awareness and providing support at an early age to help young people make informed choices regarding their future careers is important. We are committed to being proactive in taking steps to inspire and encourage young people into STEM Careers. We are committed to driving gender diversity in the energy sector and by encouraging women into leadership roles and engineering careers, we are not only creating a diverse and inclusive workforce, but taking active steps to address the deepening skills shortage in the sector. Our flexible working practices provides an opportunity for employees to effectively integrate their working lives and career development with other responsibilities and activities. Taylor Wimpey is one of the largest residential developers in Scotland and the UK with a focus on creating value and delivering quality. We build a wide range of new homes, from one-bedroom apartments to five-bedroom houses. Each year we complete more than 13,000 homes in the UK, and in 2015 over 1,000 of these were in Scotland. Embracing diversity enables Taylor Wimpey to succeed in a competitive market. We are one of the largest homebuilders in the UK, providing jobs and career progression opportunities for over 4,000 employees and over 11,000 contractors. 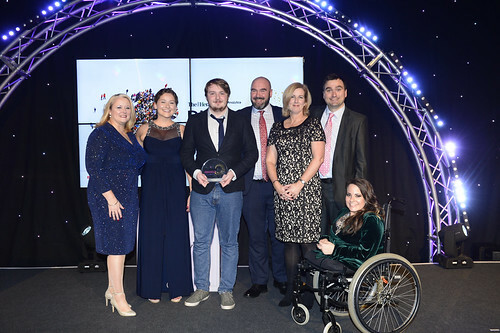 Taylor Wimpey aims to be an inclusive company, which values people as individuals – employees, customers and clients. We aim to achieve this through a creative and innovative workforce that reflects the diversity of local communities in which we work. Our honest and open approach to recruitment and our people is one of the defining factors in Taylor Wimpey’s culture and future workforce. We are a responsible developer with a strong and proud history of successful developments across the central belt of Scotland with particular emphasis in Ayrshire, Lanarkshire, Renfrewshire, Fife, Central Scotland and the Lothians, as well as Aberdeenshire and Tayside in the north. Wheatley is Scotland’s leading housing, care and property-management group and the UK’s biggest developer of social rented homes. The Group’s subsidiaries own or manage 80,000 homes and provide services to 250,000 people across Scotland. All parts of Wheatley are united by a commitment to excellence and a joint mission to ‘Make Homes and Lives Better’ for everyone in their communities. Wheatley and its subsidiaries continue to win national and international awards and accreditations each year for the work they do. We are the world’s premier independent leadership consultancy. We partner with clients across their leadership and talent agendas, helping organisations to achieve sustainable success by releasing the power of their people. We have a broad impact through deep insight, underpinned by rigorous independence and led by qualified, characterful and authentic consultants. We are global in our reach, supporting iconic multinational, regional and local companies, as well as government bodies and not-for-profit organisations. potential while studying with us. Every year, we welcome up to 30,000 students from almost 130 different countries to study a wide range of programmes, from access level through to Masters. CIPD Scotland has more than 11,000 CIPD members across Scotland, we sit at the heart of a proud, growing community of practitioners, members, partners, policymakers and thought leaders in the world of work. Through our collaborative efforts we’ll take big steps towards championing better work and working lives. We are ideally placed to support organisations and to build HR capability within organisations of all sizes and are proud to work with employers across the public, private and third sector. CIPD Scotland’s focus is to: Identify the big issues around people and development which need to be addressed, and enthuse and engage members and policy makers in how we can tackle them, and put CIPD’s vision of ‘championing better work and working lives’ at the heart of the HR, business and policy conversation. Analysing, understanding and addressing the big challenges regarding the future of work in Scotland; such as technology, automation and innovation. Working with government and other organisations to improve the workplace by building wellbeing, engagement and resilience in the Scottish workforce through good HR practice in everything from diversity to reward, and learning so that we can adapt to whatever future we face. Building Scotland’s workforce by focusing on skills and training through a lifelong learning approach and build the profession for the future in Scotland, and focusing on the skills and capabilities which HR and learning professionals can uniquely contribute will help us to embed the changes we need to see and equip Scotland for the future. 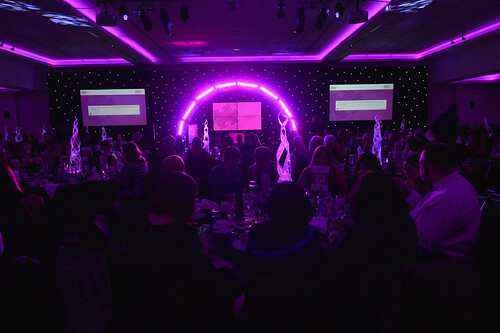 Aimed at Scotland’s largest employers, this award will recognise a company, organisation or third sector employer that has demonstrated an outstanding commitment and strategic leadership in ensuring diversity and inclusion are at the heart of its operations. 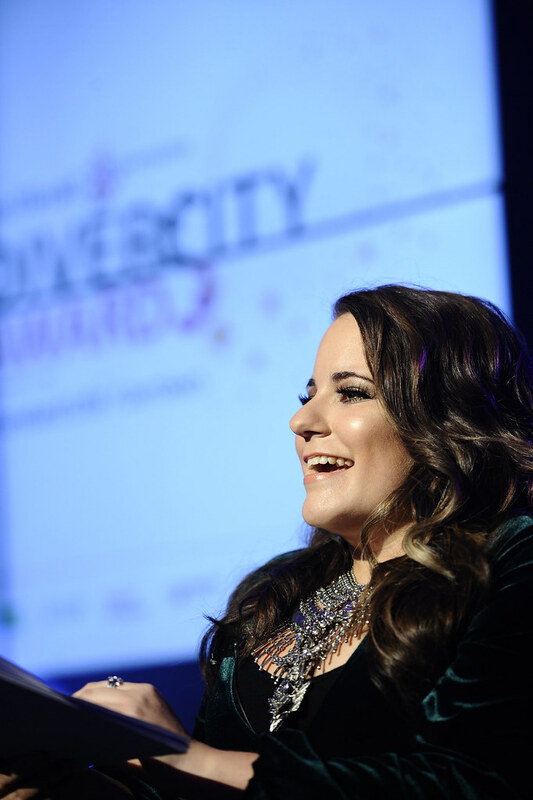 The winner will clearly demonstrate the value and contribution of diversity and inclusion to its business performance and to its workforce. A commitment to quality, innovation and best practice. Evidence of exceptional, inspirational and measurable outcomes. This award will recognise a company, organisation or charity that has demonstrated outstanding commitment and leadership to harnessing the benefits of a diverse workforce internally and externally. 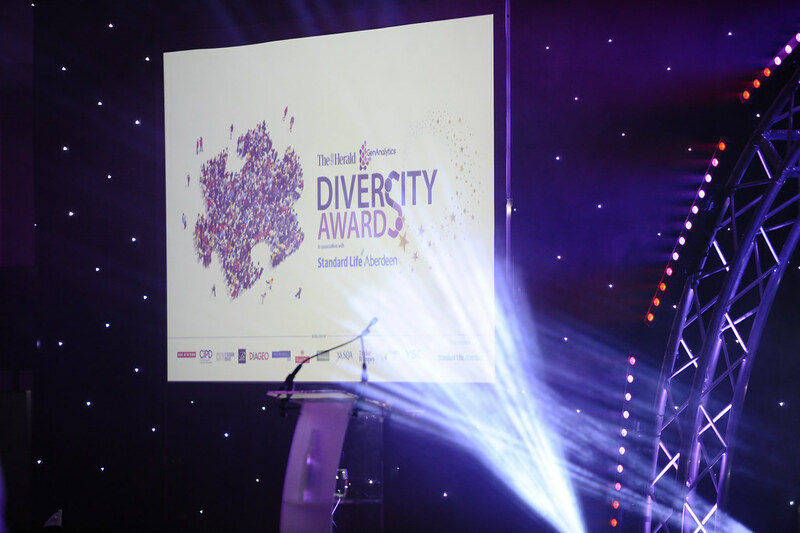 The winner will also understand the business case for diversity in within their industry and be able to demonstrate this in their entry. A joined up approach aimed at embedding Diversity & Inclusion in the Organisation. Medium sized businesses, organisations and charities are the engine of Scotland’s economy. 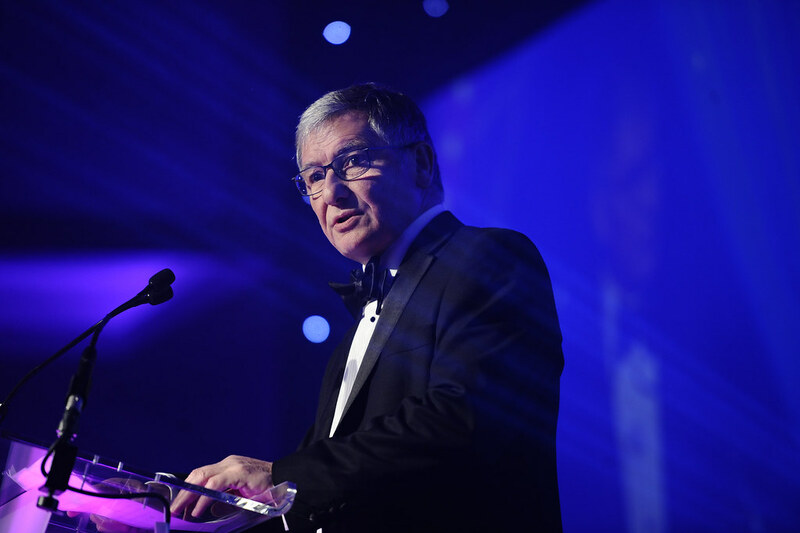 This award will recognise the outstanding commitment shown by a company who maximise all the talents in their workforce to benefit and grow their organisation. The winning organisation will be able to provide strong evidence of active policies for promoting diversity and a strong track record of hiring and retaining individuals from diverse backgrounds. Small to medium sized businesses, organisations and charities are the lifeblood of our business base in Scotland. 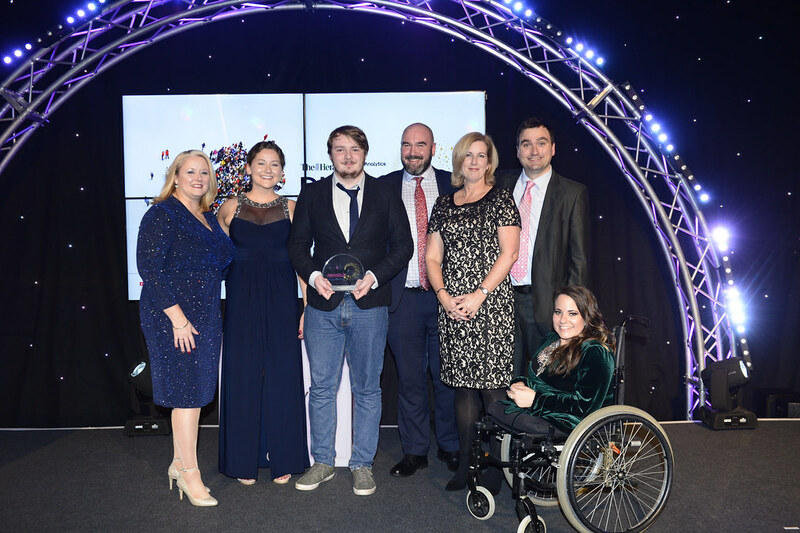 This award will recognise the excellent commitment that an SME has made into actively developing an inclusive workforce for the benefit of their organisation and all employees. This award will recognise best practice and outstanding progress by agencies and organisations within the public sector who have made significant improvement in ensuring greater diversity and inclusion in the delivery of their services to communities or clients, or who can demonstrate progress within their own organisation in diversity and inclusion. Evidence of positive and lasting impact for specific groups or individuals. This award will recognise the contribution of social enterprises to the diversity agenda and will be awarded to an organisation who can demonstrate the benefits of adopting diversity to further the aims and ambitions of their social enterprise. 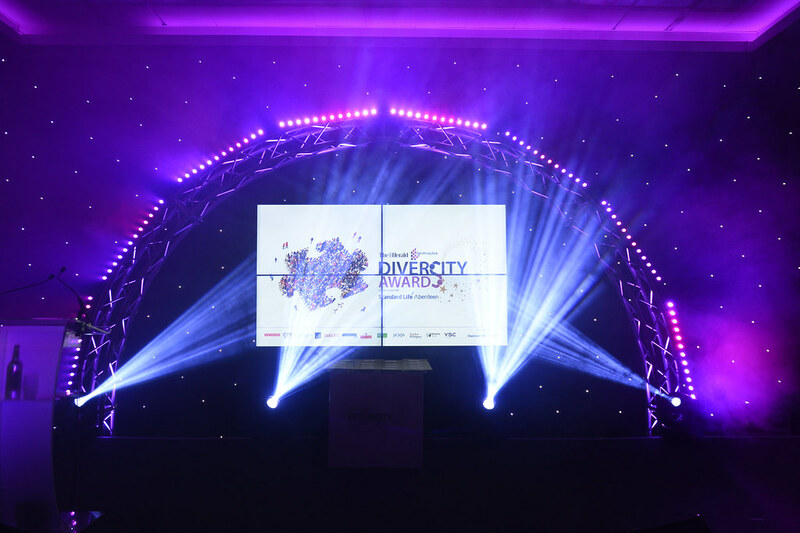 This award will be presented to an individual or a group who have made an outstanding contribution to promote equality, diversity and inclusion within their local community. The project selected will demonstrate impact in the community and be able to provide examples of the positive effects on people’s lives. 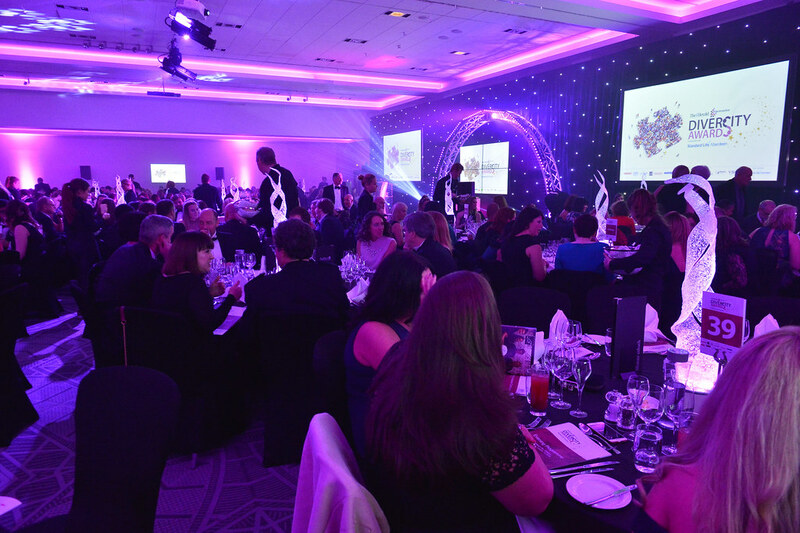 This award will recognise best practice and innovation within the Scottish education sector linked to championing greater diversity and inclusion for students, staff or local communities. Programmes or initiatives can be showcased or examples of diversity and inclusion achieved in teaching or through research work. Applications are sought from Schools, Colleges or Universities or other organisations within the education sector who can demonstrate their core purpose is the transfer of learning or knowledge to others. We need more Heroes to champion the benefits of an inclusive and diverse workforce. 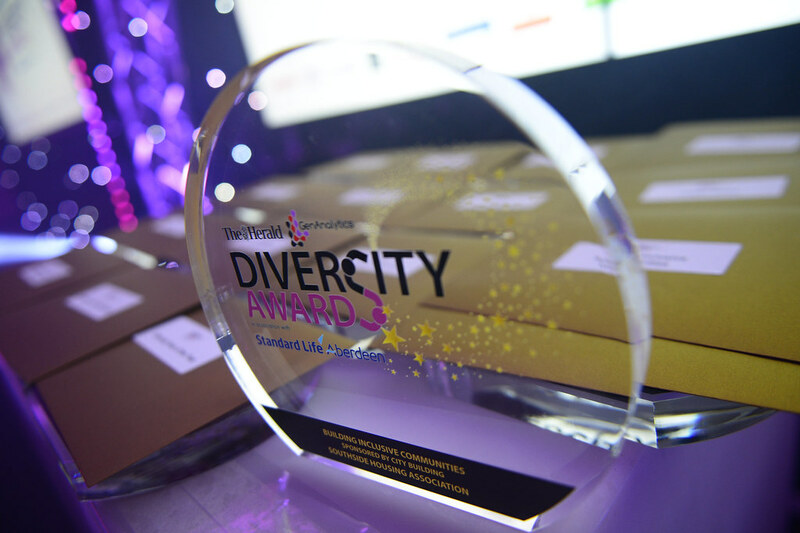 This award will celebrate an individual who has campaigned to highlight diversity and has worked to make a difference or has been an inspirational role model to others. 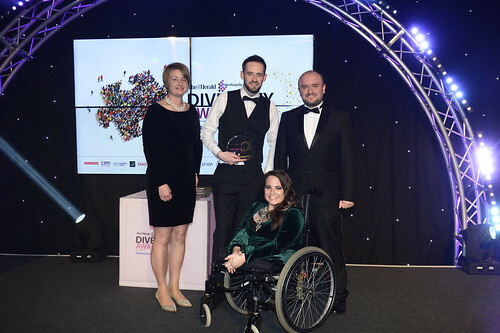 This award will be presented to an organisation or company who have delivered a project in Scotland that captures and can provide evidence of an inclusive design process including accessible design and assistive technology to enable the broadest range of users. This award will be presented to an organisation or company who have successfully delivered a youth employment project/programme that has engaged with young people (aged 16 to 24 years old) and enabled them to join the diverse and inclusive workforce in Scotland. 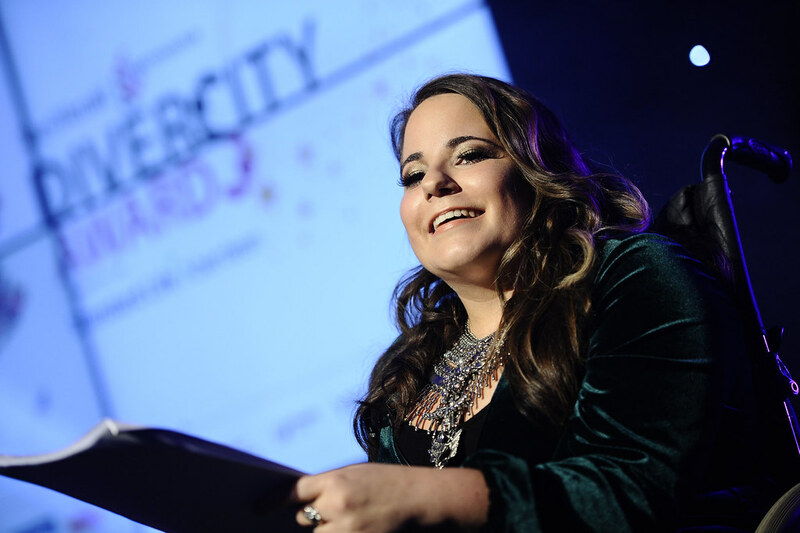 This award will be presented to the best innovative marketing or social issues campaign which challenges convention and demonstrates a clear understanding of the benefits of engaging with a diverse and inclusive audience. This award is open to any organisation – in the public, private, third or charitable sector that has created a community that is open and welcome to everyone, or have engaged with the wider community to promote a more diverse culture in their local area or in the country. This award will be presented to a rising star within a business or organisation who has demonstrated a strong commitment and track record of promoting diversity and inclusion within their organisation. 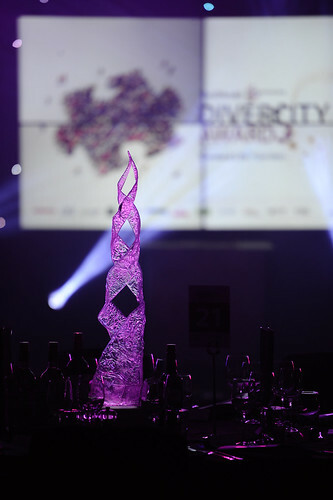 This award will be presented to an individual who is recognised for their outstanding contribution to the promotion of diversity and inclusion either in their workforce, charity, community or wider society over the whole of their lifetime. 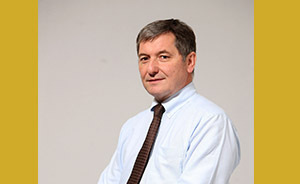 Barclay joined The Herald’s London office in 1980 as a news, business and politics reporter and then joined The Herald’s Glasgow team of reporters after a couple of years in London, working in the newsroom. He was appointed education correspondent before becoming a leader writer, then chief leader writer, then managing editor, then assistant editor, senior assistant editor, deputy editor before becoming executive editor, his role at present. Jane Gotts is a founding partner and Director at GenAnalytics Ltd.
She has vast experience in business and economic consultancy, growing commercial revenue streams, strategic business planning and international business development. 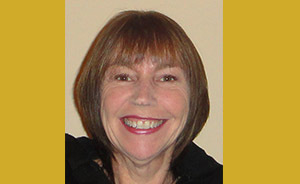 Prior to setting up GenAnalytics Ltd Jane was Director of International Business Development at Glasgow Caledonian University with responsibility for driving the university’s international business development strategy in key overseas markets including the USA, South Africa and Brazil. Jane played a key role in contributing to and supporting the Review of the Role of Women in Scotland’s Economy authored by Professor Lesley Sawers and launched LeanIn Scotland in May 2014 which has to date engaged with over 400 women. 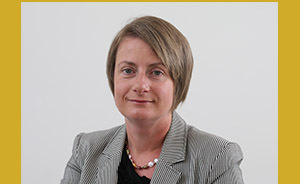 Prior to joining GCU she spent 10 years at the Scottish Council for Development and Industry, Scotland’s leading independent economic development organisation, where she had responsibility for developing and delivering the organisation’s international and commercial strategy. At SCDI she led over 50 trade visits to overseas markets in Europe, North America, Latin America and Asia, including high profile delegations with the First Minister of Scotland and senior UK Cabinet Ministers. Jane has recently acted as the Adviser to the Economy, Energy and Tourism Committee at the Scottish Parliament for their inquiry into Internationalising Scotland’s Businesses which reported in May 2015. She has a degree in Politics from the University of Glasgow. Margo Whiteford, who was born with spina bifida and is a wheelchair user, trained in paediatrics at the Royal Hospital for Sick Children in Glasgow and now works as a Consultant Clinical Geneticist for the West of Scotland Clinical Genetics Service. In her ‘spare time’ she is Chairperson of Spina Bifida Hydrocephalus Scotland (formerly the Scottish Spina Bifida Association) and President of the International Federation for Spina Bifida and Hydrocephalus. In her forties she took up wheelchair racing and competed in several half marathons and then the London Marathon, on her 50th birthday, in order to raise funds for SBHS. In recognition of this she was awarded the honour of being voted ‘Scotswoman of the Year’ in 2009. In her role as President of IFSBH she has travelled all over the world, including Tanzania, Guatemala, Beijing and Buenos Aires, in order to help promote prevention strategies for these disabling conditions and to ensure that individuals affected by them are receiving appropriate treatment. Margo has also found the time to design and supervise the building of her house and is well known, amongst her friends and colleagues, for her different wheelchair designs which always co-ordinate with her outfits. 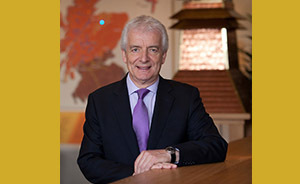 Peter Lederer joined Gleneagles in 1984 as General Manager and was appointed Managing Director in 1987 and became Chairman in November 2007. Previously he held operational and senior management positions overseas in the Hotel industry and he was also for two years, a partner in a design and consulting firm providing services to the hospitality industry. He developed Gleneagles from a seasonal golf hotel into one of the premier resort hotels in the world. The hotel was owned by Guinness/Diageo plc from 1985 until 2015 when it was sold to Ennismore. 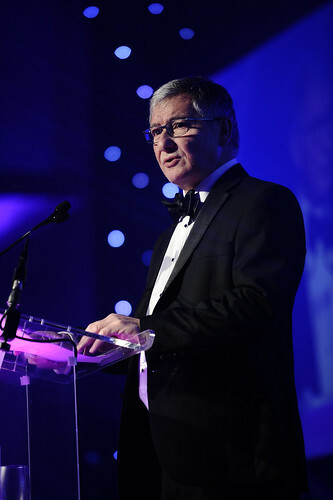 Peter also acted as Director of Diageo in Scotland from 2008-2014. Peter is Chairman of the Trustees of the International Futures Forum, Patron of the Scottish Licensed Trade Association and the Hospitality Industry Trust Scotland. He was awarded Honorary Doctorates by Queen Margaret University, Edinburgh and University of Stirling. In addition, Peter is a Master Innholder and Freeman of the City of London, as well as a Liveryman of the Worshipful Company of Innholders. Peter is Chairman of Hamilton & Inches, Taste Communications and Applecrate. He is a Board member of Pod Global Solutions and the Hotel Management Company. In 1993 he won the Tourism ‘Catey’ award and in 1997 was honoured as Hotelier of the Year. In her 1994 Birthday Honours List, Her Majesty The Queen appointed him an Officer of the Order of the British Empire for his services to the industry. This was followed by the honour of CBE in 2005. 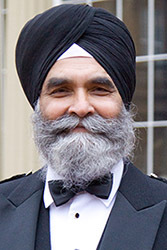 Dilawer Singh was the first Asian and Sikh police officer in Scotland and spent over 30 years with Strathclyde Police and Her Majesty’s Inspectorate. He has raised thousands of pounds for different international charities through his sporting exploits. Dilawer was also part of the 2014 Bid Team and now sat on sub committees for recruiting volunteers and planning the legacy of the games. Dilawer has been awarded an MBE from the Queen for his lifetime achievement and contribution to the community. Amongst others he was awarded Sports Personality of the year in London. He has had numerous lifetime achievement awards from various organisations. He has been a board member for Glasgow life for a number of years. Sat on Trades House of Glasgow Common Wheel Committee, distributing funds to charities. He also sat on the standing committee for the Law Society for paralegals. He is the past President of the Govan Rotary Club. For the past several he has served as the Vice President for the Sports Council for Glasgow. The last 6 years he has been serving as a board member for SALCS (Scottish Association of Local Sports Councils) President of Punjabi Sahit Sabha. Past president of Association of Indian Organisation. Director of Scottish Sports Association, Trust Company of Sports Scotland. He has a number of prestigious awards and titles including the Lifetime Achievement Award from the Lord Provost of Glasgow for his contribution and service to Sport; Chair of Scottish Ethnic Minority Sports Association (SEMSA Scotland) and Vice Chair of the Sports Council for Glasgow. 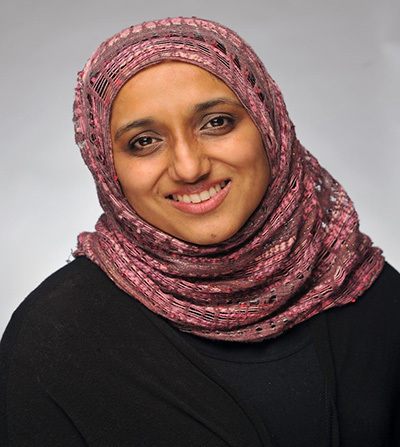 Bailie Dr Soryia Siddique – born in Glasgow, brought up in Anderston. She was the first female in her family to attend university. She graduated with a degree in Chemistry, MSc in Pharmaceutical Analysis and a PhD from Strathclyde University in drug delivery systems for Cancer. Soryia was recently re-elected to serve for the Southside Central ward where she topped the ballot in number of votes. She also lectures Chemistry based courses part time. Her interests include education, equalities, gender balance particularly in the STEM system and empowering communities. 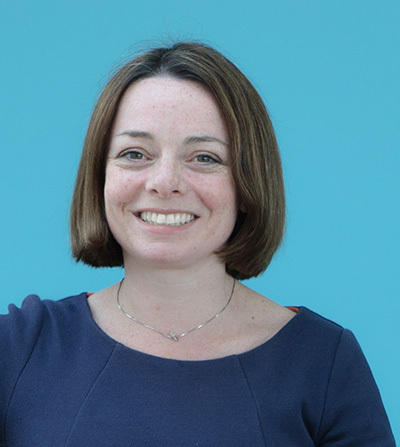 Lee Ann leads CIPD’s effort in Scotland and Northern Ireland to promote CIPD as the indispensable voice in people and development, and a career partner to almost 11,000 CIPD members in Scotland. Through strengthening relationships with local policy makers, key employers, strategic partners, and CIPD’s network of engaged volunteers, Lee Ann and her colleagues encourage influencers in the world of work to value people and development as key to better work and working lives. With over 20 years’ commercial experience across the consumer, retail and professional services sectors throughout the UK, Lee Ann brings significant personal experience of the world of work to her current role. The Diversity Awards provides a national platform to celebrate and recognise the outstanding success of companies, organisations, individuals, third sector organisations and community groups who are demonstrating a strong commitment and track record of achievement in ensuring that everyone in our society has the opportunity to fulfill their ambitions, aspirations and potential. They offer a comprehensive long term marketing campaign which confirms your strong commitment to diversity. The Herald and GenAnalytics welcome the opportunity to work in partnership with a variety of organisations to promote and grow these important national awards. 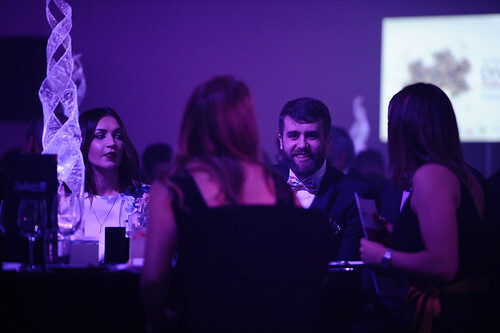 Interested in category sponsorship and want to find out more? 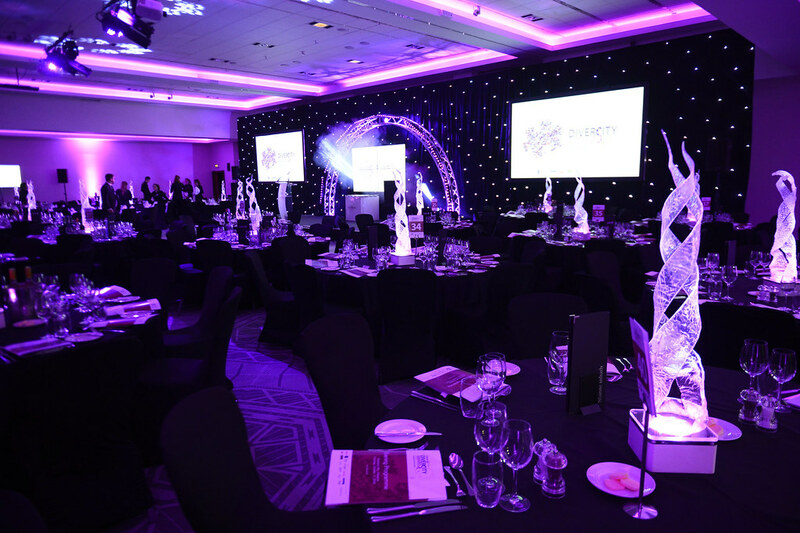 Contact Lyndsay Wilson, Events Director on 0141 302 7407 or Lyndsay.Wilson@heraldandtimes.co.uk to discuss the different benefits packages on offer this year.